Tip #1: Take a listen. And I mean a genuine listen to your voice. Do not depend solely on your little sister, your best friend, or YouTube. Record your voice. Listen. Do you like its tone, its style, the way you hold that high A? What about your voice do you like? Or not like? Keep what you like. Work at what you don’t like. And work hard. Tip #2: Listen to the singers you admire. Your favorite singers can teach you a whole lot about yourself as a singer. They show you the qualities and characteristics that you find valuable in a voice, and perhaps would like to possess in your own voice. Two of my favorite singers off the top of my head are Celine Dion and Charice Pempengco. They both have powerful, soaring, effortless, and versatile voices—all qualities that catch my attention and most importantly, my heart. 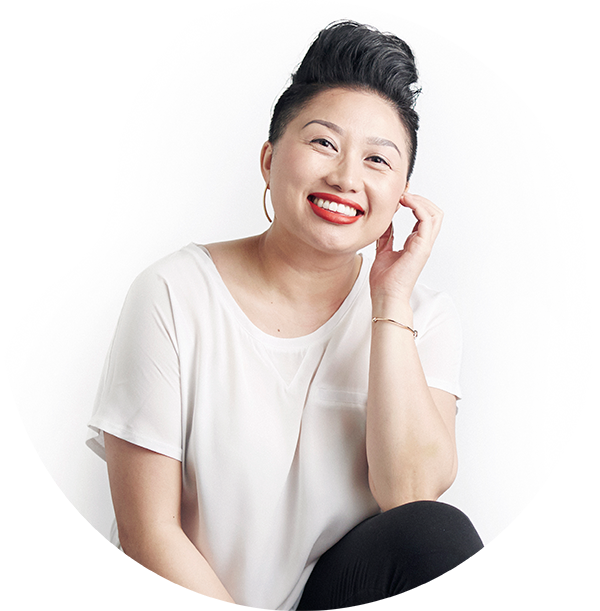 A soaring voice is definitely on my list of what I want my voice to be and that involves great breath control, one area of singing that I continue to work on as a vocalist. An effortless voice? Yes, that’s on my list too; even after all these years of singing and competing, I still desire to move in that direction, which leads me to the next tip. Tip #3: Don’t let giving up be one of your options. No matter how many singing competitions you win or lose, if you choose to keep moving towards your dreams and hopes, you will ultimately be the winner in the end. One long summer time ago, I competed in a singing contest at a local Hmong summer festival in Madison, Wisconsin. By that time, I had already competed in a few other singing contests around the Midwest and had done well, placing first in all of them. So, I was confident about this next singing contest. After performing in my best outfits, using the stage wisely, putting my heart and soul into each song for two nights, I placed third. Imagine if I had stopped, if I had allowed that one singing contest to control my dreams. I’m sure I doubted myself, judged myself, and even questioned if I was meant to sing afterwards. Today though, I am grateful that I still have the opportunity to sing for you all. Thank goodness, I did not let giving up be one of my options. Judge’s Tip: No matter what the scores are on that judging sheet, what is most important is how you use this experience to push you to be the best singer that you can possibly be after the contest, win or lose. Bottom line: Reflect on your voice and choose to move forward, regardless of winning or losing. GOOD LUCK if you are competing at your Hmong New Year singing contest this 2013-2014 season! I genuinely hope that these tips will guide you as if I were right by your side, while you’re practicing, waiting backstage, and especially, right on that stage. Much love to all of you! Catch Part One, Two, and Three, here. 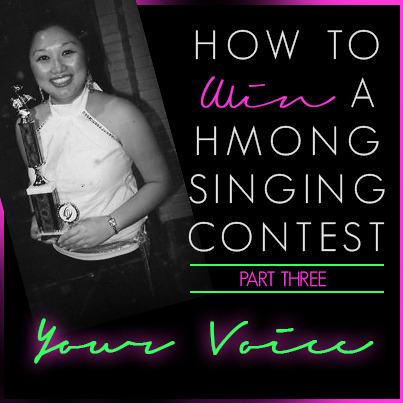 And thank you for reading my blog series, "How to Win a Hmong Singing Contest"!